Question #1 – Do you think greater clarity, focus, accountability, and commitment would improve the performance or your leadership team and your organization? The conversation about the leadership crisis isn’t new. W. Edwards Deming wrote about it in “Out of the crisis” originally published in 1982. 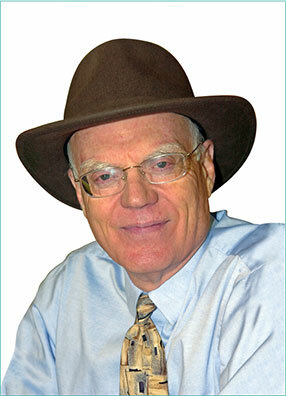 Mike Myatt (another maverick CEO coach), Deming, Bennis, Drucker. Thought leaders who have all weighed in on this topic. We must learn to be proactive. Begin with the end in mind. Think: Win, win, or no deal. From their teachings, we already know WHAT to do. 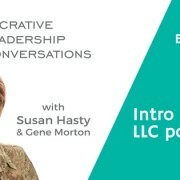 What I’d like the focus of LLC to be is simple: How do Leaders do that, every day, all along the way? Where do we start? 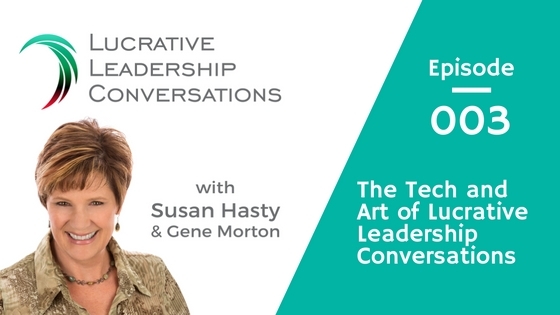 In episode 1: The Technology and Art of Business – I shared several key questions to get the conversation started regarding the art of business. What insights, knowledge and tools do leaders need to tap into the genius in themselves and others? What do Leaders have to practice to ensure their organizations are sustainably profitable in light of exponential change we see if the world today? In Episode 2, I am exploring advances in science regarding improving behaviors. After all, we are HUMAN- default beliefs are not always based in fact, and our conversations are much more complex that what’s on the surface. If we only see what’s on the surface, we tend to react to events..not as they are… but as we perceive them to be. If we understand mental models, we can see patterns of why we react the way we do, which will make behavioral change easier. We’re off course MOST of the time. The goal is being able to elicit other’s contributions regarding the outcome we want. This directly ties into Covey’s Habit #5: Seek first to understand, then be understood. A true master in the art of business. It’s not what we don’t know that will kills us It’s what we think we know… but don’t. It’s not the mistakes we make, it’s those we repeat over and over that sink us. Frame everything else up as a question! We have to improve our human technologies to master the art of business. We can do this by discovering how to make our conversations more lucrative. 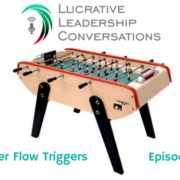 Our podcast is dedicated to achieving lucrative leadership conversations in order to make your company more profitable and sustainable. Where do we start? I’m going to start with Structural forces. Structure is an essential concept in understanding practically every discipline known to man. From mathematics & engineering to biology & chemistry, It’s provides us with a “framework” to understand for how systems are organized to produce results. There’s degrees of structure. On one extreme is confusion, disorganization, and chaos. On the other is rigidity, inflexibility, and obstinance. Today, with change being the constant, how do we integrate flexibility into our structures? 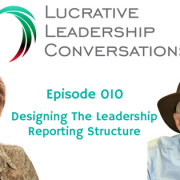 Understanding the structural forces or dynamics that reinforces current behaviors has the power to change behaviors, for better or worse, is often overlooked in leadership conversations and training. Systems Thinking – term for the field of study for understanding underlying structure on behavior. Structure, or the lack of one, underly our environments and our culture. Lacking awareness of how structure impacts our behaviors often makes us the victim of them. The structures are not hidden, they are simply not obvious. Once we become aware of structures, how to look for them, and understand them, they become readily apparent all around us. The power leaders have in organizations. that employees don’t, is in creating and maintaining the organizational structure. Structures are as unique to organizations as our DNA is to our bodies. Our structures are most effective when there’s alignment with the strategic vision. How structure shows up in our conversations. Structure shows up in in how we think, communicate and act individually, how we interact interdependently, in teams and organizations. Starting with the structure of how we organize our thoughts, this relates to how we create clarity, deal with complexity, understand causality, and get to the heart of the matter. Without structure, we’re like a tourist without a map. We might understand where we want to go, but we don’t know how to efficiently get there. We door have a sequential path to follow. It can have little to do with motivation but it’s often confused as such. Structured thinking also impacts our our ability to concisely express our thoughts and ideas. Some people can make the same point in two sentences where others can ramble on for 20 minutes and still leave you utterly confused. The structure of our relationships provide a foundation for context. Roles provide rules for our conversations. We can better understand the landscape, what to expect and what’s expected of us. From the boardroom to the courtroom to the bedroom, our role provides us with clarity about the future in front of us. When these rules and roles are violated, confusion, conflict, and frustration arise due to differences in expectations. How we respond, our behaviors, provides insight into our unique mental models but it also provides insight into clarity of our organizational structure. A well designed and communicated organizational structure creates clarity and focus so people can work effectively together. Poor organizational design creates confusion within roles. Drama, conflict and a lack of coordination and alignment are a few of the tell tell signs. This is why a company can have a clear mission, a great strategy, and talented people and still underperform. Organizational slack is a term that describes the excess capacity within organizations. Gene tells me most large organizations operate with around 40%. Think of it like body fat. We need it to survive, but too much will lead to poor performance and disease. Innovation requires higher levels of organizational slack. Let’s turn to systems theory. The Law of Requisite Variety is a fundamental tenet of Systems Theory. It’s known as Ashby’s law after W. Ross Ashby. Having variety is about having choices. More choices gives us flexibility. Too many choices overwhelms us and creates anxiety impacts our decisions and behaviors negatively. Ashby’s law provides a basis for Understanding WHERE flexibility is required and where the leverage points are. Leverage points are those influences where small changes can affect a substantial change in the system itself. Complexity is complex…here’s the best definition I’ve found..
Two is company, three is complexity. Like different roles services and products. Interactions occur on different levels within an organization. Key is in determining where to put the points of flexibility to support the areas that need stability and consistency and where there’s a need to be inflexible. We have to know our boundaries – what we need to say “No” to. This is HUGE for leaders to understand to be able to manage capacity. Here’s where I think popular leadership advice takes companies over the rails. Companies need to be collaborative. Collaboration is a tool, not a philosophy. It is confused, many times, with Interdependence. Collaboration is a tool – like a hammer. If all you want to do is hang a picture, you don’t use a jack hammer. Front line at McDonald’s doesn’t need to collaborate. They need structure and interdependence. Where collaboration is essential is in the C suite. 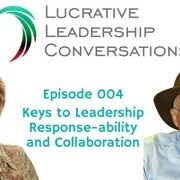 The leadership team has to work collaboratively to ensure roles and rules don’t get siloed. As an organization grows, they need the flexibility to expand and contract the resources to manage capacity. Collaboration and interdependence, like everything else taken to the extreme, isn’t the magic pill it’s made out to be. The best explanation I’ve found is a publication titled, “The Law of Requisite Variety – Why Flexibility is Important for Success in a Changing World” by Robert B Dilts. You’ll find a link to it in the resources below. Let’s explore the Technology of Coaching. In sports, all great athletes have at least one coach. Coaching is essential to competitive performance. As an industry, coaching is relatively new. Leaders NEED COACHES to unlearn what’s been taught for decades about leadership . Leaders can also use coaching to bring out the genius in others. I love coaching…and I love coaches. I’ve had the pleasure of working with many on both a personal and professional basis with a lot of success. There’s many different styles and we all bring our own unique genius and styles to our practice. I’ve also worked with some that call themselves coaches and they are not. The field has become somewhat bastardized because people who call themselves coaches but lack formal training. There’s a huge difference in coaching relative to mentoring, advising and consulting. Many of us combine aspects of these services but in it’s essence, it’s not the same thing. Distinction lies in telling vs asking. There’s an art to asking the right questions. I’m not saying there aren’t great coaches with no formal training, However, it is a field of study that requires ongoing training and practice. Coaching is not therapy. There’s potential danger and ethical violations if it’s used for mental disorders. My recommendation is to look for credentials. The International Coaching Federation is an international association that provides extensive training to members. If you have an interest in coaching as a profession or in hiring a coach, check out the website. I plan on bringing a lot of coaches as guests on our show. First, we are going to work on the clarity of our client’s desired outcome. Leaders who work on the clarity their employees have of their jobs, tasks and roles get better results. To do that, we have to ask the right questions. Coaching recognizes that the coachee already has the vast majority of answers. The coach’s role is to stimulate the coachee genius to unlock and achieve their own true potential. The coach’s role isn’t to provide answers, but to guide, through questioning, and help the client overcome internal resistances and interferences. We give feedback and hold a mirror up for our client to achieve better outcomes. The second thing that makes coaching powerful is that we also start by assessing and working on the level of commitment our client has to achieve their outcomes. Effective coaches know we can’t do the work for our client. The more we try, the less effective we are. If I don’t ask for and receive a level of commitment, my success rate tanks and it’s a struggle from start to finish. 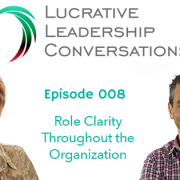 In the field of performance management and human resources, there’s a term called “line of sight” which means the clarity employees have for how their role impacts the overall mission, vision and goals of the company. The field of Neuro Linguistic Programming is one specialty of coaching, although it’s also a field unto itself. 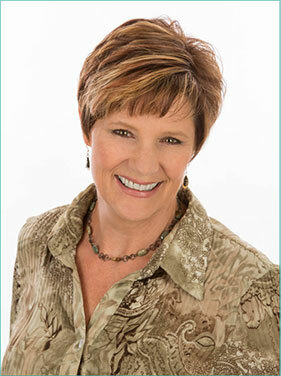 NLP began back in the 1970s’ with modeling behavioral excellence. It’s now in its 3rd generation. Our behaviors and our experience have structure also. NLP provides tools on how we can program our emotional state to improve our performance. Tony Robbins was one of the first to be trained in NLP and made it popular. NLP coaching allows us to be able to see inside the internal world of our clients and help them explore their internal thinking systems, or mental models, on many levels: their feelings, their attitudes, their behaviors, and their identity. A contributing factor of the leadership crisis we face today lies in the identity many leaders have on an unconscious level. Facts are subject to interpretation. Historically, the Interpretation that prevailed was a function of power, not truth. 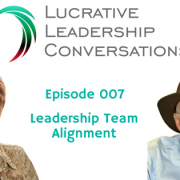 Last episode, I shared how pervasive dysfunctional models of power and “control” are ingrained in our collective conscious which is evidenced by the studies that 70% of employees aren’t fully engaged. When a system lacks power, it’s dependent. There are few choices of resources to survive, our brains go into survival mode. For example, consider how a lack of clients or customers impacts not just profitability, but your emotional state? Would this explain the apathy and disengagement we see in the workforce today? Increasing accountability and commitment are absolutely essential to performance improvement. Applying the principle of ‘requisite variety’ provides Insight into how to do that by reframing power and control. Like the plane on autopilot, we’re off course most of the time without feedback to signal we need to course correct. What if we reframe our leadership”power” as the opposite of “dependence.” Then, rather than establishing “dependence,” they become “interdependent.” When Individuals are “interdependent,” they’re more willing to make commitments to one another. I use the Stakeholder Centered Coaching Model Marshall Goldsmith developed and I exclusively coach the CEO, the business owner. Marshall is considered to be the #1 Leadership thinker in the world. His process is unique in many way including that it’s guaranteed. There’s much more I can say about that but that’s for a different conversation. I’ll Sum it up this way, our greatest strength is often the opposite side of the coin of our greatest weakness. 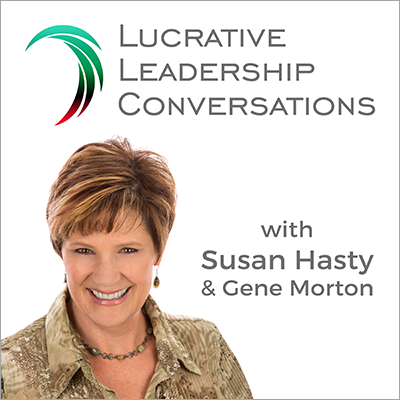 My coaching process typically takes a year and involves Gene Morton’s Leaders First and Marshall Goldsmith’s Stakeholder Centered Coaching method. I start The Leaders First Process with coaching the CEOs. The law of Requisite variety states the one with the most flexibility controls the system. Members of a system with the most flexibility tends to be the catalyst for change. The CEO is the gatekeeper to leadership collaboration and creates space for the leadership team to act collaboratively. Leverage points are those influences within a system where small changes can affect a substantial change in the system itself. Therein lies the greatest potential to the ecology of change. That has the potential to unleash the collective genius of the entire organization. I work with my clients strictly on a personal basis in a 1:1 format. I also bring in, or work with, other coaches in my facilitation of the Leaders First process, but only when the CEO AND the company is ready. Art is defined as the expression and application of creative imagination & skill. Like any art form, mastery of business requires practice. “Knowledge is only a rumor until it’s in the muscle” -New Guinea proverb. Learning any art,or sport, requires practice. There are no shortcuts, no software or quick fix. Practice always begins with failure, it’s messy and counter intuitive. Learning complex things is an incremental, iterative process. It takes time, repetition, practice and passion – because without passion, you’re unlikely to devote enough time to practice. Do we think Leadership is any different? When we learn how to play music, we have to learn the notes. When we learning how to play golf, we have to practice our swings. Gaining Mastery is simply taking simple steps over and over. Changing your way of behaving takes time and practice. Like all disciplines, it is not natural. It’s counterintuitive and counter-instinctive. Mastering Lucrative leadership conversations is an Art. It requires practicing many different instruments. All of these take practice to master the ultimate goal: The Art of Leading. Once you master the Art of Leading, it is time to master the Art of co-creating your Business Model: How a company captures value from its business. Hands down, the best resource for understanding business models is using a tool called the business model canvas. It describes the building blocks, essential elements of a firm’s value proposition, infrastructure, customers, and finances. It’s the foundation for strategy and vision. It provides the road map. There are two ways to think about your business model. It’s like Play doh – it’s malleable. It needs flexibility and structure. Reproductions are commodities. Make it a masterpiece. An original is alway more valuable. I’d appreciate your feedback, especially on these first three shows. Please reach out to me anytime. I invite you to schedule a time when we can connect. Spread the love… If you really found this insightful, give us a rating on itunes…we’re on a countdown to hit the New and NOTEWORTHY LIST.